Whether your child is heading to Kindergarten for the first time or starting high school, the weeks before they go back are crucial to a successful year. Learn how you can make the transition a smooth and painless one. Going back to school each fall is stressful whether you’re 5, 15 or 35. Summer vacation is generally a time to take it easy, stay up late and sleep in late. Most kids do their best to forget about school during those few short weeks. Jumping right back into the swing of things is difficult without preparing ahead of time. 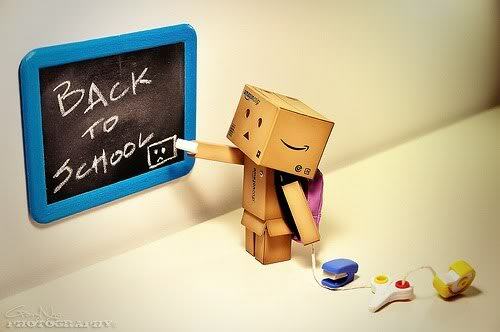 It’s important for parents and caregivers to help make the transition back to school a smooth one. A smooth start can give a child the confidence boost he needs to do well all year. You know your child best. Does he adjust well to schedules and routines? Or does he resist and fight the imposed new rules at first? Give your child all the time he needs to adjust by starting several weeks ahead of time. Add one or two parts of the new routine at a time, so he doesn’t become overwhelmed. Adequate rest is one of the most important building blocks of a successful school year. Start by setting an earlier bedtime a week or more before the start of school. And don’t think that teens are exempt from needing that extra hour or two of sleep. A body needs rest most during times of change. There is more change going on in a teen’s body than at any other time in his life, except around age two. Once bedtime is established, set an appropriate rising time in the morning. Give your child plenty of time to wake up, eat, dress and prepare for the day. If your household is normally rushed in the morning, consider changing your own habits during this transition time so everyone can benefit from calm morning routines. Adequate nutrition fuels a child’s brain and keeps their energy level high during the day. Summertime habits of skipping breakfast, snacking on junk all day and eating dinner in front of the TV just won’t cut it during a busy school year. Make sure your child sits down at the table to eat a healthy breakfast, packs a nutritious lunch or has enough money to purchase lunch at school and start sitting down together for dinner, if you don’t already. Family dinners are an important time to connect, to hear about your child’s day, to share their triumphs and help them work out their problems. It’s also an opportunity to be sure they are getting a healthy meal. Don’t forget about proper hydration. Energy levels and brain activity are severely diminished if a body is dehydrated. Make sure you and your child are getting enough water every day, serve it with dinner, pack it with their lunch. Sodas and even fruit juice are full of sugar and empty calories. According to the American Academy of Pediatrics, just one soda per day can increase a child’s risk of obesity by 60%. Get them in the water habit now, and they’ll thank you later. Mornings go more smoothly when you don’t have to think too much. If your routine is set, your body will go through the motions even if you’re still half asleep. Get your child into a routine by preparing the night before. Have her pack her backpack so it’s all ready to go. Lunches can be packed ahead of time and stored in the refrigerator. Have her choose and set out the clothes she will wear the next day. Keep hair brushes, deodorant, makeup and other necessities on an uncluttered surface. Give your child a mirror in her room to save fights over bathroom time. Your teen will appreciate being able to wake up by themselves, especially if they can wake slowly to their favorite cd or radio station. Light is the best way to wake up. Your body naturally responds to a gradually lightening room. If you live where you must rise in the dark parts of the year, consider buying a sunrise simulating alarm clock. Make sure your child knows what the ground rules will be once school starts. Set a schedule for doing homework, supper, baths and bedtime. Keep the TV viewing to one or two hours per day. Get into the habit of following these routines by starting them a week before school. Use homework time to do some light review of subjects they learned last year; read with a younger child, make up some math problems, play science trivia games, anything that gets them actively thinking. Make this a fun time to spend together, and homework time won’t be such a hassle later. If your child is entering school for the first time, they may be excited or extremely fearful. Make sure they have visited the school at least once before the year starts. They should meet their teacher and principal ahead of time. Call the school and find out the names of other children in your child’s class. Then arrange several play dates with one or two of them in the weeks before school starts, so they will already have friends in the class. Separation anxiety runs high on the first day of school. If you can, arrange to drive your child to school and accompany them into the building. But when it’s time to go, be firm. Tell her you love her and you’ll see her after school. Don’t ridicule any tears that may arise, just say “I know it’s hard to say good-bye.” Lingering in the hall will only make it harder on your child. If you are choked up over the separation, that’s normal too. Just wait until you get around the corner before you show your own emotions. Young children aren’t the only ones who have first day anxiety. Kids entering a new middle school or high school need the same reassurance and love as a kindergartener. The same “playdate” strategy is a good idea with older kids, though they will likely already have friends to connect with beforehand. Most schools will send a list of supplies your child will need in the mail. If you buy a few things each week, it won’t take such a chunk out of your budget. Save the new clothes for last, though, and let your child pick out one special outfit for the first day of school. This will help them get excited about the “big day”. If your child is old enough to need a backpack, remember that children suffer painful back injuries each year due to overloaded and poorly designed backpacks. Purchase one with wide, padded shoulder straps and a padded back. Make sure your child always uses both straps and puts the heaviest items closest to the center of the back. A rolling backpack can be a good choice for students who have heavy loads to carry. Don’t forget you will soon have extra work to do as well. If the school sent home information sheets for you to fill out, don’t wait until the last minute to do it. Take the time to write down important dates like early-release days and holidays on your calendar. Set aside a folder or special place for important school papers so you can find them when you need them. Make sure you get used to rising in plenty of time to get your child ready without rushing. Each school year is a clean slate for your child. Don’t bring up negative things that happened last year. If you are cheerful and confident about the coming year, your child will be too. Going back to school each fall is stressful whether you’re 5, 15 or 35.